Flying animals are just great and look fun and silly on any project! 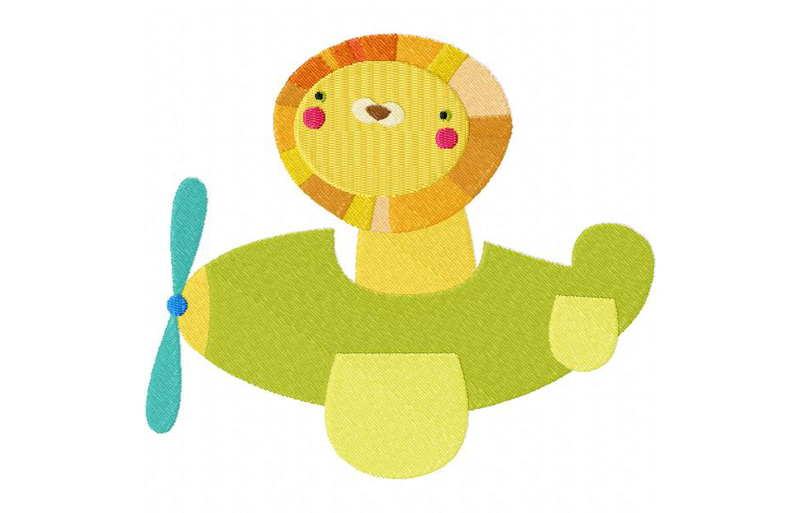 Download the Lion in a Plane Machine Embroidery Design for Gold Members only. The Lion in a Plane Machine Embroidery Design includes PDF color sheet and all of the following sizes: 2.5" 3" 3.5" 4" 4.5" 5" & 5.5"